Lightning Bolt has Hastelloy G Bolts with World Wide Shipping. Hastelloy G offers excellent corrosion resistance to commercial phosphoric acids and oxidizing acid mixtures. More exclusively, HASTELLOY G-30 alloy is a high chromium nickel-base alloy which shows superior corrosion resistance over most other nickel- and iron-base alloys in commercial phosphoric acids as well as many complex environments containing highly oxidizing acids such as nitric, hydrocholoric, and sulfuric acid. The resistance of G-30 alloy to the formation of grain boundary precipitates in the heat-affected zone makes it suitable for use in most chemical process applications in the as-welded condition. Product Forms As a leading provider of Hastelloy G fasteners, nuts, bolts, washers, and studs, Lightning Bolt has observed some common applications for this grade of Hastelloy. This applications include: Phosphoric Acid Service, Sulfuric Acid Service, Nitric Acid Service, Nuclear Fuel Reprocessing, Nuclear Waste Processing, Pickling Operations, Petrochemicals, and Fertilizer Manufacture, and Pesticide Manufactures. When the task calls for Hastelloy G fasteners, call on Lightning Bolt for all your hard to find nut and bolt requirements. Why Lightning Bolt for ? 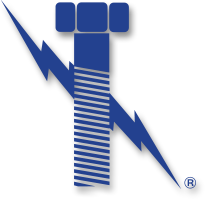 Lightning Bolt & Supply has Hastelloy G Bolts with World Wide Shipping and has been servicing North America’s industrial fastener needs for over 25 years. Since then, our focus on the production of high quality parts at competitive pricing has allowed us to become an industry leader. Our niche in exotic high nickel alloy fasteners include materials such as: hastelloy, Inconel, monel, A-286, 904L, Alloy-20, duplex stainless as well as many additional alloys.